The twist was that, which has been called the "Liverpool Bloggers Christmas Blues - Sweet Pink Party!" wasn't just a normal event as ten bloggers from the Liverpool area were invited to come along to a wonderful evening of cocktail making, specific networking opportunities, a photo area to get snaps, and with special review bags and meeting a few brands involved! Who would turn this event down? The event was held at Revolution in St Peters Square which is on Fleet Street in Liverpool city centre. Phil and me got to the venue a little early to have a meal and good job we got there early. Not only did it start pouring with rain but our meal's took ages! As I was going to the event in my wheelchair I was told by a member of staff that their was a lift to for disabled people to use to get into the bar, so upon arriving I was very disappointed to find out that I would have to walk up the stairs into the main bar and then again down two flights of stairs to get to the blogging event as the lift had display signs in front of it and a hot dog stand so I was unble to use them. No help at all was given to Phil and me by staff from the bar and Phil had to carry my wheelchair up and down the stairs on his own due to the lift having stuff piled up in front of it. 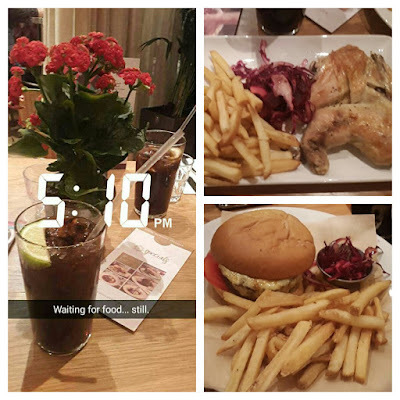 Phil had ordered a burger and fries, and I ordered roast chicken and fries - we waited over an hour for the food and whilst waiting two other couples sent their food back! When our food finally arrived, I pulled off the skin of the chicken and half of the chicken was pink and the other half way over cooked and so dry. The whole of the chicken had been cooked in salt too (which I can't have and we did say this to the member of staff who took the order). In my opinion there was too little of service in the bar even though it wasn't even that packed. Samantha was the first person to meet Phil and myself at the event, she ordered a drink and waited nearly half an hour for it. After half an hour, a member of staff came over and told us that her order receipt had gone missing and they had reordered her drink. Another fifteen minutes later - she finally got her drink. Revolution in St Peters Square is not somewhere I would go to again for food as the only way I could describe it is vile and the disability features which where not able to be used and no help from staff members was appalling. I would not recommend attending this bar if you're in a wheelchair or can't get up stairs easily. We headed downstairs into the basement for the actual event after receiving a message from Stephanie on facebook messenger. 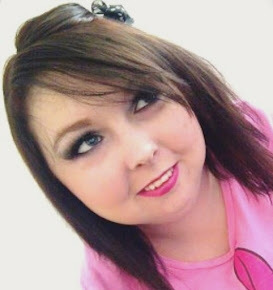 If you don't know Steph already she is one third of the Liverpool Bloggers website - she's beautiful. She's one of them girls who is just stunning and who you would kill to look like. She greated us with a hug each, and showed us the area we would be having for our Bloggers night. Steph has decorated the area beautifully, with balloons and pink-ness everywhere! 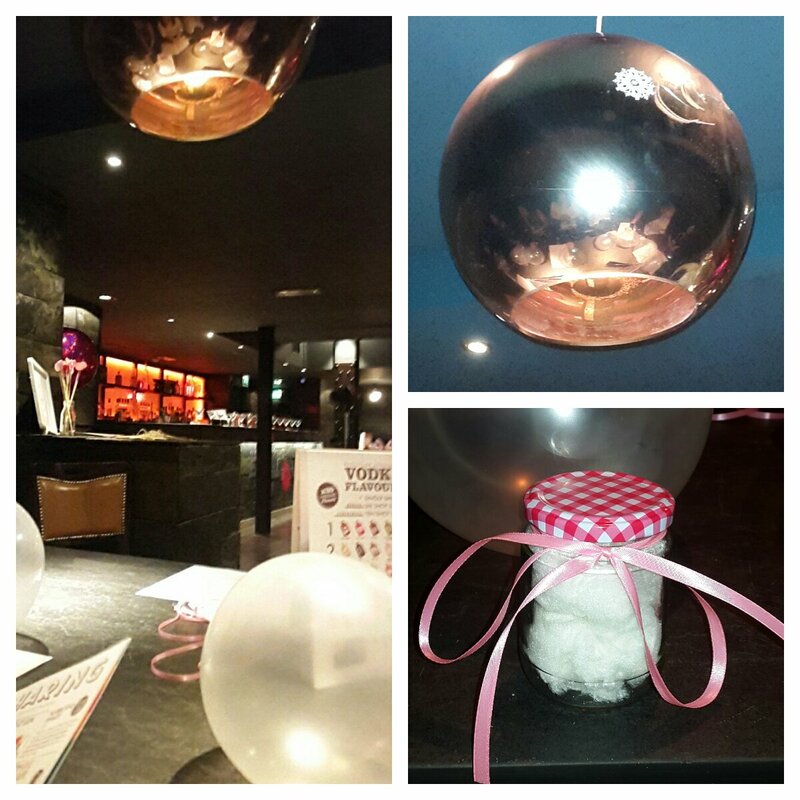 We sat around a big tucked away table and were given our name tags and a cute little gift - a jam jar full of flavoured candy floss with a pink balloon attached to it. My flavour of candy floss was caramel, and as candy floss is one of my Nan's favourite things to snack on, I saved mine for my Nan. The event itself included a cocktail master class which lasted around an hour and a half and also included welcome cocktails, shared demonstration cocktails, game cocktails, and a shot to toast at the end all done by 'Michael' one of the bar's staff. 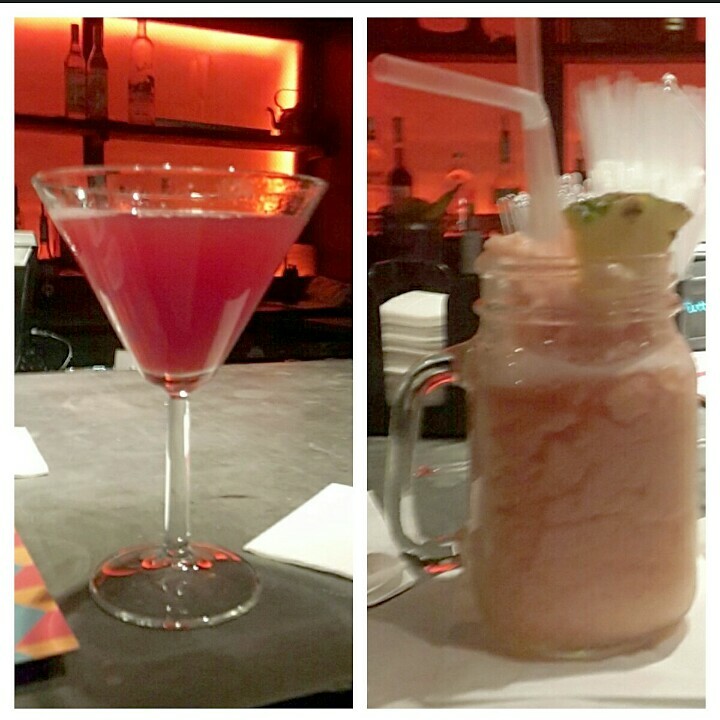 Michael was really understanding at the fact that I couldn't drink alcohol on the night and kept making me my own non-alcoholic cocktails which I am so thankful for! I was a little worried I'd feel left out as I wasn't drinking and it was a cocktail class but Michael really made us all feel welcome and really just "at home". 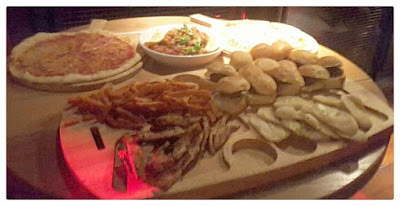 The cocktail class also included food nibbles such as mini burgers, sweet potato fries, mini garlic bread, popcorn shrimp, chicken skewers and two pizza's to share. The games were actually really fun to watch, I don't want to give too much about any of the games away just encase you plan to book yourself a cocktail making class and I give all spoilers away but what I will state is that it's so much fun and I would highly recommend it. But just because I don't want to tell you about any of the games in detail, doesn't mean you can't see any of them! I took a couple of videos so I will add one or two of them further down this post. We event managed to get Phil involved in one of the games too! If you'd like to find out how to book your own cocktail master class or would like more information in general then please click here. There was also a photo background were we could get some snaps of the fellow bloggers we met so we can make memories for life! #Steph# had even made the flower back ground herself - it was awesome! Steph really did herself proud for putting this event today as it really was one of the best ones I've ever been too. After the master class, we all sat around the table and chatted getting to know each other a little bit more. Steph gave us all little tags to write down a little note to each other so we all ended up with a lot of lovely notes from the other bloggers, I'm going to hand mine in my new makeup room once it's all finished and done. We were given review goodie bags at the end of the night which I'm going to be doing a separate blog post on but there is a sneak peak picture which you may have seen already from my instagram for now. 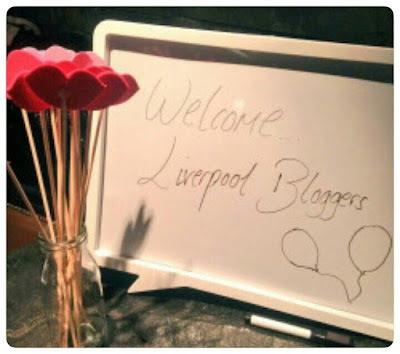 Don't forget to give Steph and Liverpool Bloggers a follow on twitter and also the rest of the amazing bloggers who attended the event: Samantha, Danielle, Andra, Heather, Abi, Amy, and Robyn. I really hope you all are having a great day, and that you all enjoyed reading about my time at this amazing event. Thank you so much again for Stephanie for inviting me to this event - I had such a great time and I can't wait for the next one!